DALBAR's 2015 Quantitative Analysis of Investor Behavior (QAIB) is the twenty-first annual edition of a report that examines the returns that investors actually realize and the behaviors that produce those returns. Since 1994, DALBAR's QAIB has been measuring the effects of investor decisions to buy, sell and switch into and out of mutual funds over both short- and long-term time frames. The results consistently show that the average investor earns less - in many cases, much less - than mutual fund performance reports would suggest. The goal of QAIB is to continue to improve the performance of independent investors on the one hand and of professional financial advisors on the other hand by incorporating the factors that influence behavior that determines the outcome of investment or savings strategies. QAIB offers guidance on how and where investor behaviors can be improved. QAIB 2015 examines real investor returns in equity, fixed income and asset allocation funds. The analysis covers from January 1, 1985 to the period ending December 31, 2014, encompassing the crash of 1987, the drop at the turn of the millennium, the crash of 2008, plus the recovery periods of 2009, 2010 and 2012. This year’s report will focus on the worst periods of investor decision making over the last 30 years and the steps that can be taken to proactively correct behavior in stressful circumstances. The report explains how investors and advisors adapt to changing market conditions and produce investor returns using investor behaviors, the psychological factors that drive them and the knowledge of how investment classes have acted in the past. Mitigating Money-Losing Behavior – A responsive approach to identifying when investors are most vulnerable to money-losing behavior. Maximum Impact Events – The top 10 periods of time in which the average fund investor experienced the most acute underperformance. Steps to Help Investors When They are Most Vulnerable – Strategies to employ when maximum impact events are identified. Planning for Maximum Impact Events – Steps that can be taken now so that one is prepared to respond in stressful market situations. What QAIB has Taught Us Through the Years – A look back at all that we have learned over the past 30 years about investor behavior. CashMapper is a computer based intelligent agent that conducts a financial needs assessment and directs users to pre-qualified services to meet their financial needs. Once CashMapper identifies the financial needs of each user, it proactively reaches out and obtains permission from the user to contact him/her, avoiding the hurdle of relying on the user to take action. The CashMapper system is a behavior based intelligent agent that affords users privacy to reveal financial problems and makes recommendations that conform to the user’s preferences. CashMapper uses a proactive communication to invite users to a confidential session that provides solutions to financial needs. Solutions are based on the employee’s financial priority and behavioral preference. Behavior preferences range from “Don’t call me, I’ll call” to “Make an appointment” or “Send materials”. What are the Advantages that CashMapper affords? The expert system of CashMapper emulates the relevant features of a personal interview but does so without the cost and time of a financial adviser. As a result millions of "personal interviews" can be done at extremely low cost, producing a highly valued benefit for the user and the providers of specialized services. CashMapper is built to reaching out to users instead of expecting users to help themselves. Behavioral finance studies show that the great majority of people will not act on their own but will when contacted and invited to participate by a trusted source. CashMapper primarily uses the employer as the trusted source to reach out to employees on a regular basis. CashMapper recognizes the need for privacy and confidentiality in discussing financial matters. This privacy is guaranteed until explicit permission is granted by the user to introduce a third party. A key success factor in meeting users' financial needs is ensuring that the most important financial need is covered by the scope of what is being provided. CashMapper offers a broad scope for discussion to address the user's total financial needs and concerns (preferences, debts, cash flow, obligations, etc.) instead of focusing narrowly on) investments, insurance or other specific need. The expert system technology avoids the problem of giving users too many complex choices that may not be understood or may not be applicable. Obtaining employee's permission for specific contact or materials has proven to be a critical difference between most automated solutions and personal interviews. CashMapper obtains permission instead of making passive recommendations or offering or delivering generic packages. Another key success factor is providing manageable solutions that are within the scope of the employee to handle instead of answers that the employee finds impractical. The CashMapper solution is aligned with the receptivity of the user. DALBAR's Computer Model Certification provides firms that seek to comply with advice regulations for IRAs and 401(k) participants with the required credentials to comply with the regulations. Certificants receive a distinctive mark of quality in the form of the DALBAR Seal that differentiates the model from the hundreds of others that are non-compliant. What is the RF™ Certification? The Registered Fiduciary (RF™) certification identifies financial professionals that have achieved pertinent academic qualifications and licenses, learned required practices, and have passed a background check. The RF™ certification prepares a candidate to comply with the regulatory requirements of acting as a fiduciary under current laws. The RF™ certification is continuously being updated to reflect the most recent regulatory, marketplace and technology changes. This fiduciary standard distinguishes RF™ designated professionals as having met the highest standard in the financial industry. All valid certified RF™ are listed on the Registry of Fiduciary Professionals. The Fiduciary Standards Board licenses training organizations to develop training and continuing education programs, as well as licensing certifying bodies. DALBAR, Inc. holds a license from the Fiduciary Standards Board as a training and certifying body, and has created the RF™ certification. The typical cost of an online course for one candidate is $800 to $1,000, with continuing education cost of $200 to $300 per year. An online course usually requires 10 to 12 hours of study time for the average candidate. The continuing education varies from two hours to five hours per year. At the completion of training, candidates are eligible for certification to receive the RF™ certification. Certification involves completing an application that contains a number of disclosures and commitments to act as an RF™ designee. The information provided on the application is independently verified for completeness and accuracy. The candidate then schedules an examination for the selected specialty. Upon successful testing the candidate is awarded the RF™ certification. The cost of certification is $500 per candidate. The certification process requires approximately 30 days. What is DALBAR's Recognition for Excellence Program? 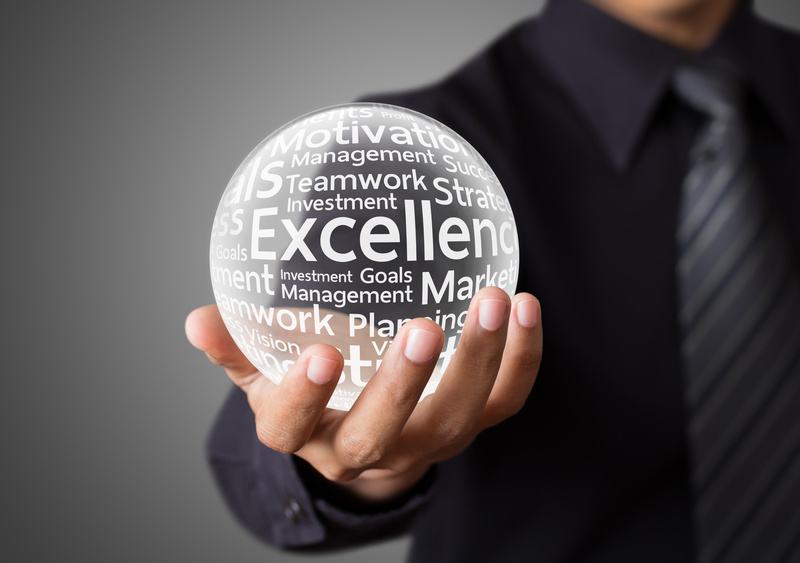 The Recognition for Excellence Program is a measurement system developed by DALBAR based on over 20 years of ongoing research and is designed to ensure an acceptable level of service is provided to clients by their professional service providers. The research used is collected from customer surveys, monitoring institutions’ customer service departments and studying industry innovations. Through a masked online survey system, DALBAR asks end clients to comment on interactions that are of critical importance to the professional service relationship. The program offers professionals the opportunity to differentiate themselves from industry peers by earning Recognition for Excellence. The program also provides tools needed to prioritize and address improvements and adjustments to service levels. DALBAR analyzes and audits the results of survey to create both public and private analysis. Professionals who earn the Recognition for Excellence may advertised their achievement. Additional client feedback is collected and analyzed, but is for internal use only. To qualify for certification, professionals must exceed benchmarks in the areas of trust, performance, and quality of services. The following is a sample of results, represented by the percentage of favorable responses, compared to national averages. The above-average scores in all categories have qualified Acme Group for DALBAR Certification. Advisors can display these results without violating the SEC Testimonial Rule per SEC No Action Letter. In addition to the standard questions used to determine certification, DALBAR asks additional questions of clients to provide further analysis. The four point rating system is integral to DALBAR surveys and provides comparability and ease of understanding of results from one survey to the next. This enables comparisons, correlations and benchmarks to be performed over time and across several different surveys. This comparison and analysis is for internal purposes only. The four point rating system extracts the most reliable responses without being burdensome to the client. It implements the principles of human behavioral studies regarding subjective discernment. These principles suggest that accuracy deteriorates rapidly if there are more than three subjective conditions. The four point system gives the customer a clear choice of a positive or a negative response, then further refines the choice to extreme or moderate. Each of the four values is assigned a specific meaning in the survey instrument so that respondents will respond to the meaning and not a numeric range. This is very important because individuals of differing levels of mathematical cognizance will select different values for the same meaning. For example, mathematically oriented respondents will treat a “3” on a five point scale as neutral since it is a mid-point. Non-mathematicians, on the other hand will treat a “3” as positive since it is more than 2.5 (half of five). These anomalies are exaggerated as the number of points used are increased. Designations are assigned to an index developed from the four point system. These designations incorporate the inherent positive bias that exist in human responses (uncertainty tends to produce a positive response). There are three designations applied to the normal range of scores (between 3 and 4). These are Good (3.00 to 3.49), Very Good (between 3.50 & 3.74), and Excellent (above 3.74). Ultimately, the four point system permits direct comparison of dissimilar subjective issues. For example, one can directly determine if the ability to understand a response is relevant in lowering an overall opinion. “DALBAR Designations” are provided to assist the professional in interpreting the overall “Score” for each factor. The designations (“Excellent”, “Very Good”, and “Good”) are derived from an index developed from the four-point system. These designations incorporate the inherent positive bias that exists in human responses (uncertainty tends to produce a positive response). The cost for the Recognition for Excellence Program is $1,250. Additional fees may apply when applying further customization or utilizing alternative survey methods. What is the Registered Manager™ Certification? The Registered Manager™ certification provides investment managers with a powerful combination of sales tool and compliance disclosures to satisfy the requirements of ERISA section 3(38). Certification enables investment managers to use client testimonials to advertise and attract new assets. DALBAR reviews due diligence and investment performance reports to determine if basic tool are available to perform as Registered Manager™. For more information about DALBAR&apos;s Adviser Solutions and Certifications, please contact Cory Clark at 617.624.7156.